The REMS TA Center and Office of Safe and Supportive Schools produce a variety of publications and guidance documents in collaboration with Federal partners and practitioners in the fields of school and higher ed preparedness. Select a publication type below to access a list of titles by date. Federal agencies have worked together to create joint products on critical topics in emergency management for K-12 schools and school districts and institutions of higher education (IHEs). 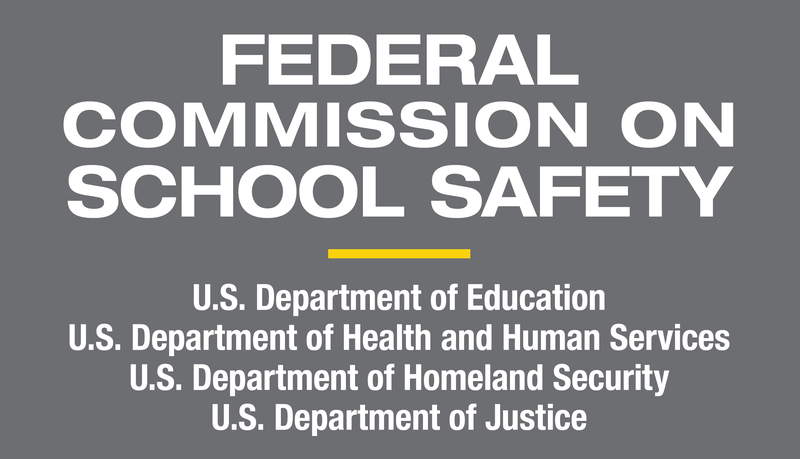 These guidance documents align and build upon years of emergency planning work by the Federal government and may be used to develop and revise high-quality emergency operations plans; understand adult sexual misconduct in the school setting and develop related policies and procedures; prevent targeted violence at schools and IHEs; and identify, assess, and manage students who may pose a threat of targeted violence at schools and IHEs. Click a link below to download a PDF copy of the guidance. Federal guidance recommends that high-quality emergency operations plans (EOPs) for schools or IHEs include threat- and hazard-specific, as well as functional, annexes. These are sections of the plan that specify the policies and procedures, as well as the responsibilities and actions, that are taken before, during, and after an emergency event. While it is important that planning teams develop their own EOPs as they work through the six-step planning process with community partners, and ultimately decide how their annexes are structured based on their work together, these sample annexes may be useful in helping to understand what the structure and content of an annex may include. Each sample annex is formatted slightly differently and reflects a very different fictional school. Click a link below to download a PDF copy of the annex. Fact sheets explore key topics in school and higher ed preparedness and safety, security, and emergency management, and are based on research conducted by the REMS TA Center. Click an issue below to download a PDF copy of the fact sheet. The REMS TA Center hosts Webinars and develops supplemental reading guides that accompany the presentations. Click a link below to download a PDF copy of the resource. The REMS TA Center also creates many other resources, including toolkits, informational sheets, lists, FAQ sheets, work sheets, and tip sheets. Click an issue below to download a copy of the publication. News & Updates from the REMS TA Center is our email newsletter. If you would like to receive it and other email notifications regarding the availability of upcoming Webinars, trainings, new information and other REMS TA Center events, please email us at info@remstacenter.org. We will add you to our mailing list. Click an issue below to view an HTML copy of a past newsletter. REMSExpress articles highlight emerging issues in emergency operations planning, as well as information on important resources available to schools and institutions of higher education. Contributors to newsletters include experts in school safety. Click an issue below to download a PDF copy of the publication. Lessons Learned are brief descriptions of actual school emergencies. They spotlight the critical actions, decisions, and events that took place before, during, and after a real incident. Lessons Learned demonstrate what worked and did not work so that all school communities can strengthen their emergency management activities throughout the six step planning process. Click an issue below to download a PDF copy of the publication. Success Stories offer brief profiles of specific activities, tools, or strategies developed or utilized by school districts or institutions of higher education that have been successful for schools or colleges across the country, and could be replicated by other sites. Click an issue below to download a PDF copy of the publication. Helpful Hints provide a quick overview of school emergency preparedness topics that are frequently the subject of technical assistance inquiries. Inquiries and requests for assistance can be sent to the REMS TA Center at info@remstacenter.org or by calling toll-free 1-855-781-REMS . Click an issue below to download a PDF copy of the publication. Email us at info@remstacenter.org to submit topic suggestions for future newsletters.